Newcastle, because of its history in coal mining, has much infrastructure which has fallen into disuse and which, being old tram and train tracks and canals, is eminently suited to become bike paths. 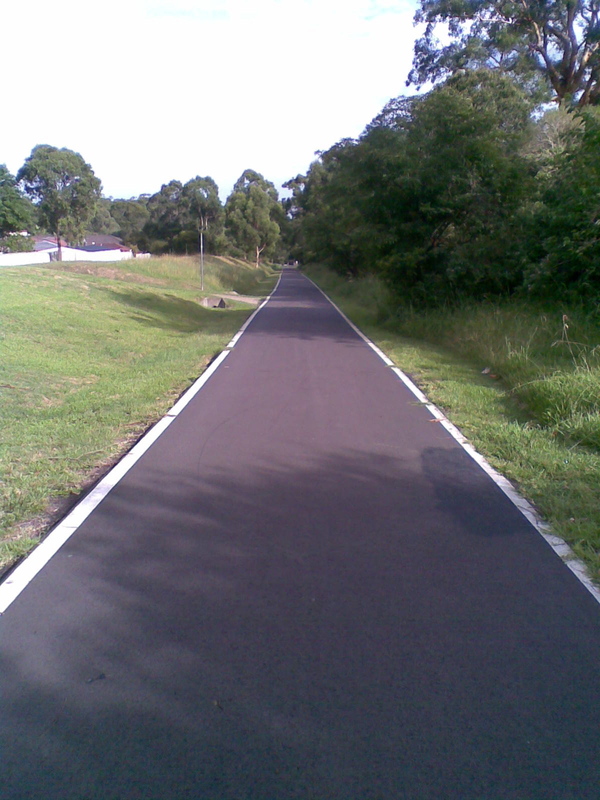 This has already happened in several cases, resulting in the iconic Fernleigh Track, Raspberry Gully shared path and many shorter tracks which follow old train lines or meander alongside canals (or drains, if you are more prosaic). 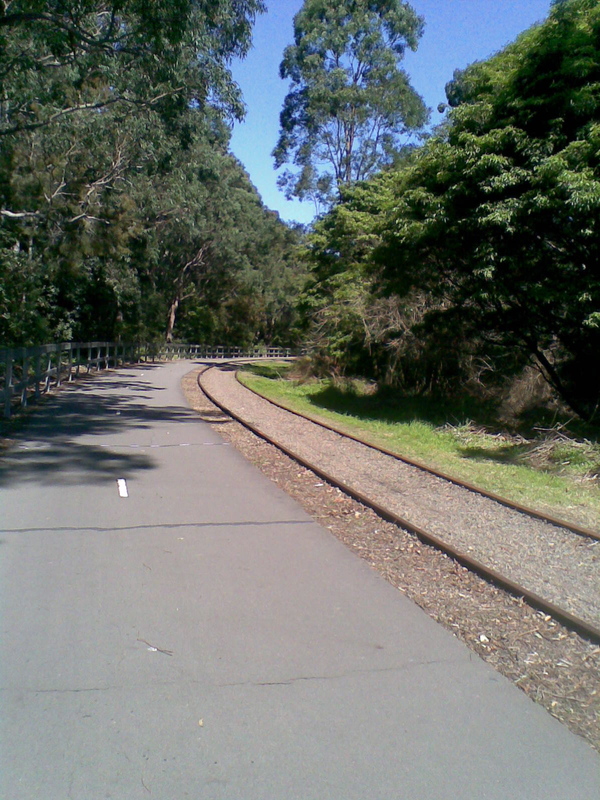 Below, a shot of Fernleigh Track (converted coal line), path beside a canal in Newcastle, and converted tram track at Jesmond: This Sunday, Newcastle’s own Dr Behooving will be leading a ride around his visionary track which will encompass all these by adding some new parts to what already exists. 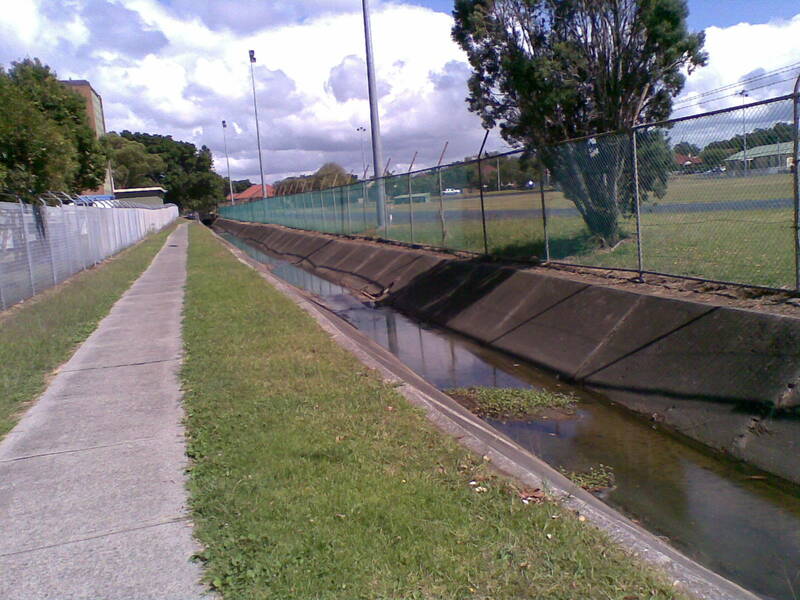 His water/cycleway loop would also become a hub for some of the major bikeways which service outerlying parts of Newcastle, such as Fernleigh and the Callaghan loop which leads to the uni. If this great idea can be brought to fruition, it will be a great thing for Newcastle city cycling. Meeting place is 10am at Marketown and there are more details in the link to his post about it above as well as in the comments to that post. This entry was posted in Bike Lanes, Bike tracks, Newcastle and tagged bike lanes, Bike tracks, infrastructure, newcastle, newcastle bike tracks. Bookmark the permalink. Great post! I had hoped to join the Sunday ride but now we will be moving house that day:( looking forward to ride report!